Not too far from Hawthorns you’ll find the historic market town of Kirkby Lonsdale. Just a 25-minute journey in the car and you’ll be able to sample some of the tasty local treats, discover beautiful points of interest and even try a new sport if it takes your fancy! As a town nestled in between the Lake District and the Yorkshire Dales, it’s no wonder that this quaint area has a very traditional feel to it. A stroll around the streets themselves provide views of Norman and Victorian architecture so you really can take a step through time. Many of the restaurants and shops are housed in 17th and 18th century buildings, so even if you’re doing a spot of souvenir hunting or having some tea and cake, you’ll still be in the presence of history. If you’re going further afield then you’ll be able to cross Devil’s Bridge. 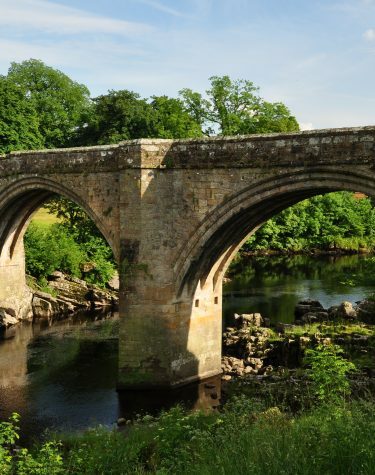 Believed to have been built in either the 12th or 13th century, this stunningly detailed three-arched bridge crosses the River Lune and is the ideal spot for a game of Pooh Sticks and a picnic. It’s closed to cars now and the quiet area is home to many types of birds and wildlife. 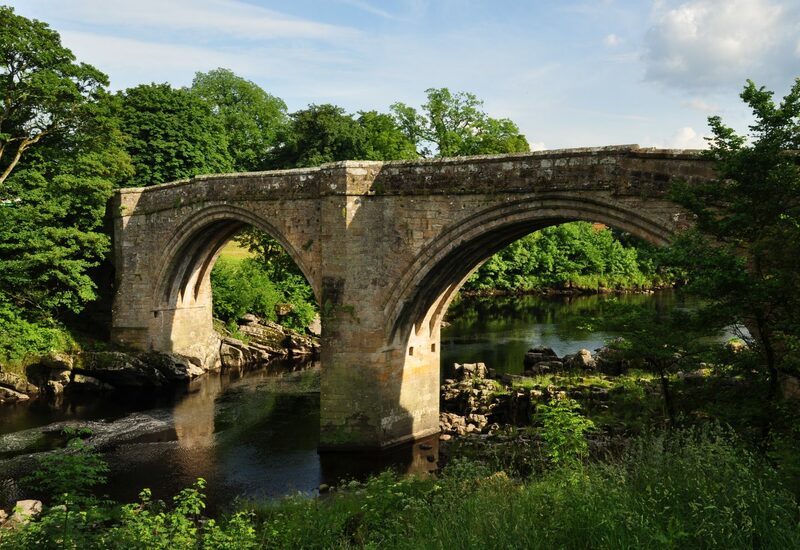 As you take a walk around Kirkby Lonsdale, be sure to experience some of its hidden gems. The Enchanted Chocolate Mine is a real treat for the kids (as well as young-at-heart adults) and provides the real story about how chocolate is made – not by being grown on trees, but mined by fairies of course! Better suited to children older than pushchair age (as it’s at the bottom of some steep stairs), it’s the perfect whistle stop tour and a great opportunity to pick up some chocolate from the shop upstairs too. Kirkby Lonsdale Brewery sells a broad selection of ales, bitters, stouts and fruit beers right in the heart of town. Stop by The Royal Barn for a pint and to put your feet up after a long day of exploring the area. Made with the finest ingredients, try one of the core range, or branch out and sample one of the specials sold throughout the year – you might even want to pick up a bottle or two to take home. If you fancy a day out with a difference then spend a day at Casterton Golf Club. With a friendly and welcoming atmosphere, the well-kept course also boasts beautiful views. If you’re not a seasoned professional and don’t want to take on the main course there’s plenty for you to experience – a par 3 course, driving range and even footgolf! Instead of playing with clubs, you’re given a football and your own skill. This is a fantastic day out for a family with a competitive edge, and you can stop for coffee and cake at their tearoom afterwards. Kirkby Lonsdale is a fantastic day out, no matter how active (or relaxed) you want to be. Take a wander, enjoy some good food and drink and soak in the serene atmosphere.